Author Visit! 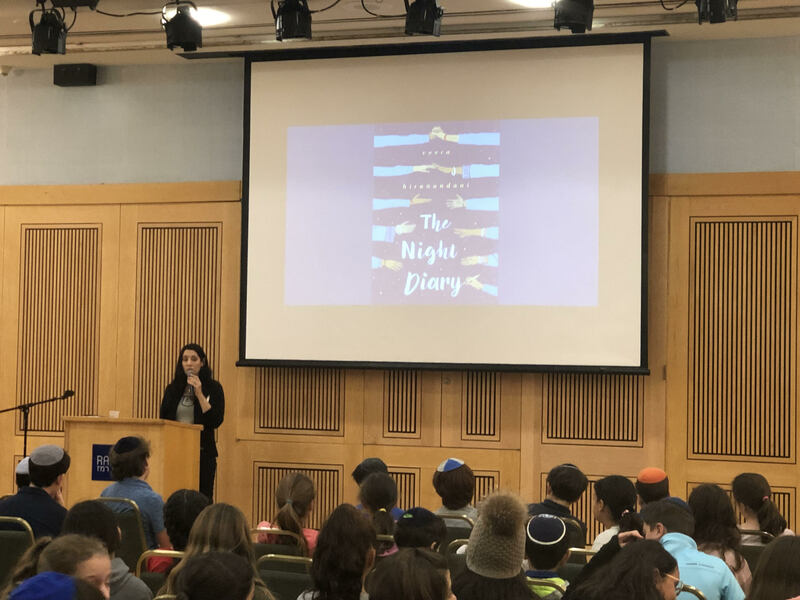 Veera Hiranandani Speaks To Middle School Students About Her Book "The Night Diary"
Writing and reading are a crucial part of the Middle School student experience. Students widened their cultural and historical horizons when they heard the author Ms. Veera Hiranandani speak about her new novel, The Night Diary. The main protagonist in the book, ten-year-old Nisha, writes a diary about the perilous journey undertaken by her Hindu family in 1947 when they had to travel from Muslim Pakistan to mainly Hindu India. This journey was based on the experiences of Ms. Hiranandani's father. The author showed family photos and historical pictures taken during the partition of India. She also shared insights about her writing methods, and answered a wide variety of questions from our students. Her intriguing presentation was enthusiastically received by students and faculty.